Mayweather vs Cotto Odds: On May 5th Floyd Mayweather Jr. will go after Miguel Cotto’s jr. middleweight title in Vegas for a cool $45 million. The Puerto Rican boxing icon Cotto (37-2 30 KO’s) is a 6-1 VEGAS ODDS underdog with the bookies but the 34-year old Mayweather (42-0 26 KO’s) has looked human in recent bouts. Our Vegas Sports Picks sharps have taken a closer look at the bout and broke down the paticulars. Vegas Sports Picks Analysis: After our Vegas Sports Picks crew broke down the Mayweather vs Cotto Odds we have discovered that the $30 million that Cotto will be making will be mostly to take a beating. 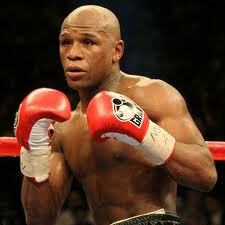 Mayweather is still a master at his craft and Cotto has lost the ferocity and deadly bodypunching that made him a champ. Cotto was a better fighter before he ran into the hand grenades that Antonio Margarito bashed him with and he is here mostly because of his name recognition. Mayweather vs Cotto Odds OVER/UNDER is at 10.5 ROUNDS with the OVER at -240 VEGAS ODDS. Mayweather knows how to pick fights that he can win and Cotto is no different in “Pretty Boy’s” quest to keep his undefeated record intact. Our fight picks crew is confident enough to lay 16.0 units at BOVADA CASINO at -800 Vegas Odds for Mayweather to dethrone the 154 Lb. champ Cotto. Mayweather vs Cotto Odds have Cotto as a +600 moneline underdog.